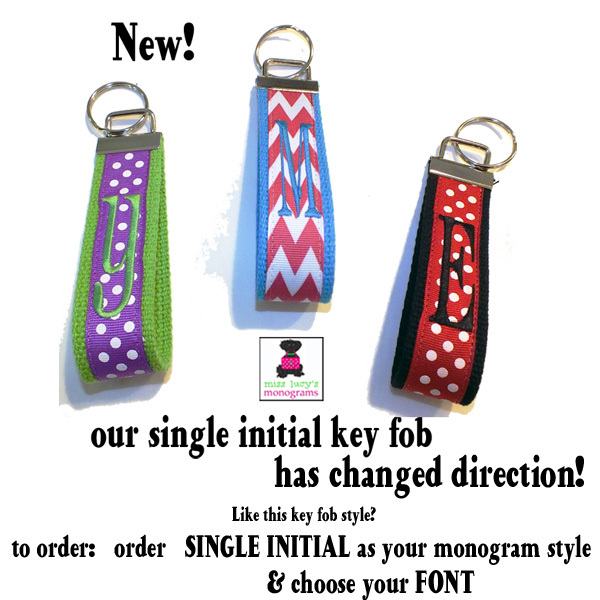 What better way to carry your keys...our monogrammed key fobs! We offer so many different key chains ....from acrylic to our custom made key fob ...where you choose the webbing color ...ribbon choice...monogram...and we ship it to you custom made! Our key fobs are a fave item with our customers...you will love to give it as a gift ....and don't forget to get one for yourself!